Chris Brewster, a Year 10 student at the school, has won a competition to play with Guildford Symphony Orchestra. As part of his prize he will be playing part of a concerto next month with the orchestra alongside other winners, some of whom are at University and from Yehudi Menuhin school (the competition was for age 23 and under). 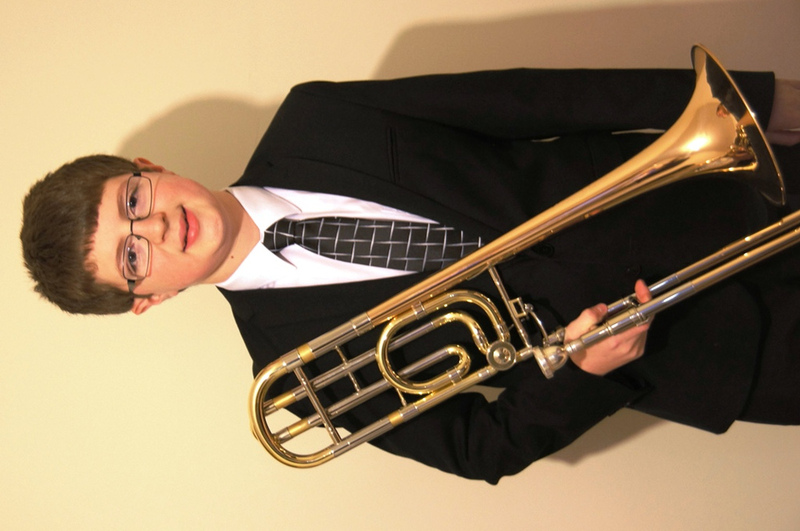 Chris is joint first study trombone and euphonium studying music at the Junior Guildhall School of Music where he learns with Rob Burgess and Spencer Down and currently holds their “Mr Tuba” scholarship. Chris plays in many groups and ensembles there and is principle Euphonium in the Brass Band. He is also currently preparing for his grade 8 piano exam. Locally he is Principal Trombone of the Surrey County Youth Wind Orchestra, Surrey County Youth Jazz Orchestra, and is Principal Euphonium in Surrey County Youth Advanced Brass Ensemble. Chris enjoys all his musical activities. He played trombone and euphonium in the Mayor’s Jubilee Band on one of the music barges in the Jubilee River Pageant that celebrated the Queen’s Diamond Jubilee. He was successful in reaching the second round of the 2011 BBC Young Musician of the Year Competition on trombone aged 14. In Surrey he was the Euphonium Soloist playing “Napoli” with the REME Army Band’s last performance before they were disbanded. He has played in concerts with many groups across Surrey. Previously a member of the National Children’s Orchestra of Great Britain, Chris has for the last 2 years been one of the younger members of the National Youth Orchestra of Great Britain, playing trombone (and doubling on euphonium where required) with top class performers and conductors in major concert halls including Birmingham Symphony Hall, the Sage Gateshead, the Aldeburgh Prom Season and at the Royal Festival Hall. This also included a televised BBC Promenade Concert at the Royal Albert Hall and most recently, playing the Euphonium part in Holst’s Planets Suite (a long held ambition) in Leeds Town Hall and the Barbican Centre, where the concert was broadcast on Radio 3 and the NYO received five star press reviews. In 2012, at the age of 14, the Lord Lieutenant of Surrey nominated Chris to attend the Houses of Parliament as Surrey’s “16-21 Young Performer” for “The Commonwealth Carnival of Music”. In September he received a Young Person’s Outstanding Achievement Award from the Mayor of Woking for music successes. Chris is delighted and grateful for the opportunity to play with Guildford Symphony Orchestra and is looking forward to the performance. Later this year he will taking part in a number of local concerts and in pit bands for several shows. He is looking forward to further big performances with the NYO, including a tour of Ireland and at the Royal Festival Hall, including playing Beethoven’s 9th Symphony. The school is understandably proud of Chris’s achievements and wish him well for the future. 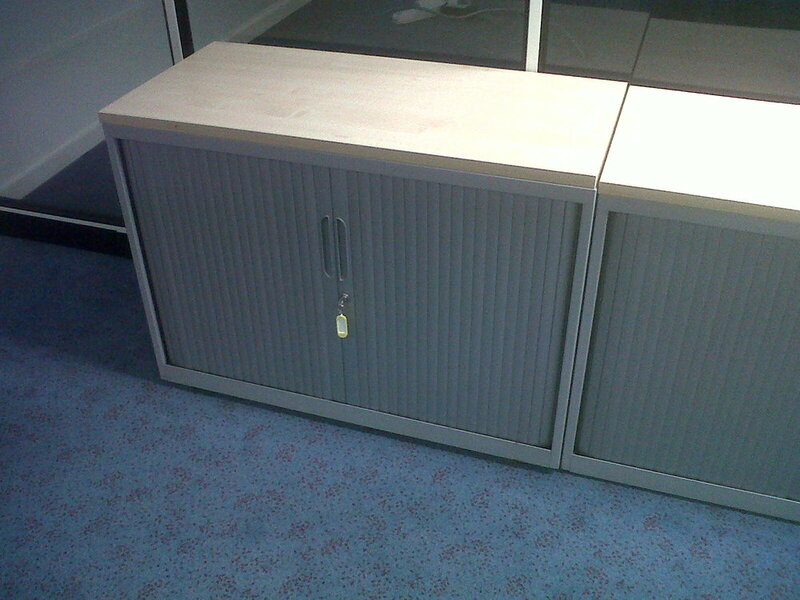 The School would like to say a big thank you to Societe Generale who have recently donated 20 desks and cupboards to the school.